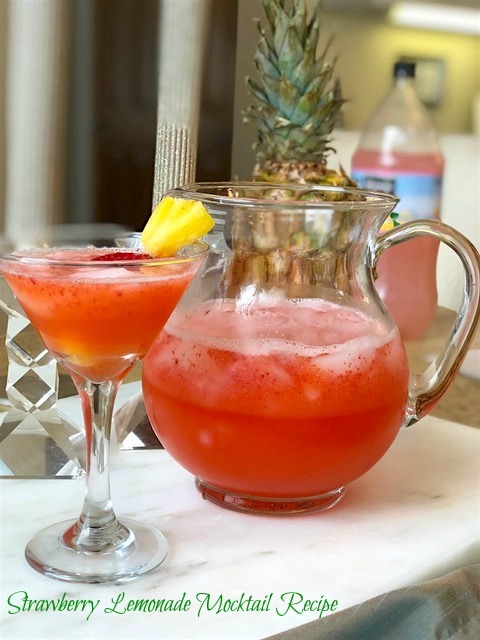 Enjoy this refreshing Strawberry Lemonade Mocktail recipe! This Strawberry Lemonade Mocktail recipe is a non-alcoholic drink that’s perfect for cooling off this summer! You will need a blender of any kind for this beverage recipe and can easily make some strawberry smoothies to go along with these drinks! 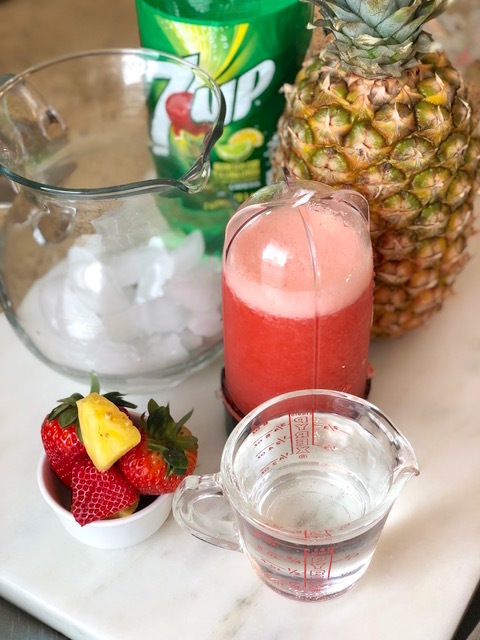 My kids LOVE making fruit smoothies so this Strawberry Lemonade recipe is a great spin for all of us to enjoy during a party! Plus it does great sitting out in a pitcher or punch bowl during the get together. Pour 2 cups of lemon lime soda in a pitcher. Pour 2 cups of ice to your pitcher. In blender, add 1 cup of strawberries. Add 1 cup of pink lemonade drink (we used Minute Maid) to blender. Add 1 cup of ice to blender. Pour everything in the drink pitcher and serve! Now you’re ready to be the talk of the party! This Strawberry Lemonade recipe is VERY popular anytime we make it! In fact we usually have to make several batches because we rarely have any left! It certainly doesn’t last long! Below are some other fun summer activities and recipes for you to enjoy!